U.S. equities and stock ETFs were flat Thursday as traders mulled over data that revealed U.S. economic growth softened over the last quarter of 2018 and an abrupt end to the U.S.-North Korea summit. After somewhat recovering from the earlier pullback on Thursday, the Invesco QQQ Trust (NASDAQ: QQQ) was up 0.1%, SPDR Dow Jones Industrial Average ETF (NYSEArca: DIA) was down 0.1% and SPDR S&P 500 ETF (NYSEArca: SPY) was flat in mid-day trading. 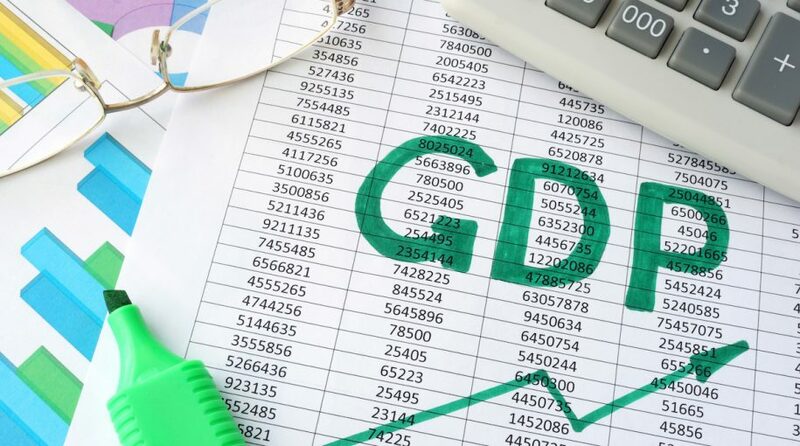 According to the Commerce Department, gross domestic product, a measure of how much U.S. produces in goods and services, increased at a 2.6% annual rate for the last three months of 2018, compared tot he 3.4% growth rate over the third quarter and an impressive 4.2% rate in the second quarter, the Wall Street Journal reports. Peter Cardillo, chief market economist at Spartan Capital Securities, argued that the fourth quarter results may have been affected by the the partial government shutdown and lingering concerns over a trade deal between the U.S. and China.